Javier Aller Martín was a Spanish film and television actor. Born in Madrid, his career began on 1998, and he participated in various humoristic film and TV series, known by his short stature. He died on 1 May 2018 from diabetes after suffering from two strokes. He participated in films such as The Biggest Robbery Never Told, Miguel y William, Mortadelo & Filemon: The Big Adventure, The Miracle of P. Tinto, His Majesty Minor. The Biggest Robbery Never Told is a 2002 Spanish comedy film directed by Daniel Monzón and written by Jorge Guerricaechevarría. Mortadelo & Filemon: The Big Adventure is a 2003 Spanish-language film based on the popular Spanish comic book series Mortadelo y Filemón by Francisco Ibáñez Talavera. It also included characters from 13, Rue del Percebe, another comic by the same creator. The film was directed by Javier Fesser and stars Benito Pocino and Pepe Viyuela. Gordon Keith Brown was a Canadian politician who represented the Ontario riding of Leeds—Grenville—Thousand Islands and Rideau Lakes in the House of Commons of Canada as a member of the Conservative Party from 2004 until his death. The Parliament of Canada is the federal legislature of Canada, seated at Parliament Hill in Ottawa, the national capital. 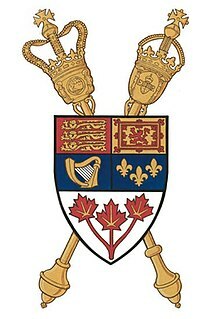 The body consists of the Canadian monarch, represented by a viceroy, the Governor General; an upper house, the Senate; and a lower house, the House of Commons. Each element has its own officers and organization. By constitutional convention, the House of Commons is dominant, with the Senate and monarch rarely opposing its will. The Senate reviews legislation from a less partisan standpoint and the monarch or viceroy provides royal assent to make bills into law. Tony Cucchiara, stage name of Salvatore Cucchiara was an Italian folk singer-songwriter, playwright and composer. The Arkansas Senate is the upper branch of the Arkansas General Assembly. The Senate consists of 35 members, each representing a district with about 83,000 people. Service in the state legislature is part-time, and many state senators have full-time jobs during the rest of the year. During the current term, the Senate contains twenty-six Republicans, and nine Democrats. Monica Barnes was an Irish Fine Gael politician who served as a Teachta Dála (TD) for the Dún Laoghaire constituency from 1982 to 1992 and 1997 to 2002. She was a Senator for the Labour Panel from February 1982 to November 1982 and a Member of the Council of State from 1991 to 1995. Paul Bloodgood was an artist and gallery owner who played an iconoclastic role in the New York art world for multiple decades. Bloodgood produced predominantly abstract paintings often relating to the works of earlier artists from Jackson Pollock to Paul Cézanne. He co-founded the AC Project Room in Lower Manhattan, and held solo exhibitions in several US cities, including New York, San Francisco, and Washington D.C., and at the Andreas Binder Gallery in Germany. His group exhibitions included shows at the Saatchi Gallery in London. He was a 2009 Guggenheim Fellow. Edwin G. "Ted" Burrows was a Distinguished Professor of History at Brooklyn College. He is the co-author of the Pulitzer Prize-winning Gotham: A History of New York City to 1898 (1998), and author of Forgotten Patriots: The Untold Story of American Prisoners During the Revolutionary War, (2008), which won the 2009 Fraunces Tavern Museum Book Award. Michele Castoro was an Italian Roman Catholic archbishop. Castoro was born in Italy and was ordained to the priesthood in 1975. He served as bishop of the Roman Catholic Diocese of Oria from 2000 to 2009. He then served as archbishop of the Roman Catholic Archdiocese of Manfredonia-Vieste-S. Giovanni Rotondo, Italy, from 2009 until his death. Klaus Dede was a German writer and journalist. Walter Vera, 90, Uruguayan Olympic sport shooter. ↑ Eric Marshall (Thomas) McLuhan Ph.D.
↑ Eric Rutherford Murray QC. ↑ Two-time Olympian, Ray Weinberg died last Wednesday at Ballarat, aged 91.